The ticket order form will be available in late February. Tickets are $2 per show, which includes the 6.75% NC tax on entertainment tickets. 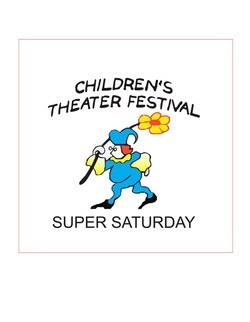 We ONLY accept cash or checks (made payable to “Children’s Theater Festival”). We CANNOT accept credit or debit cards for payment. We accept mail orders. All mail orders must include payment. Please note that mail orders must be picked up at the Super Saturday Box Office located in the Tryon Fine Arts Center lobby at 34 Melrose Avenue. We will NOT mail you your tickets. Find out how to get them via the Round Robin. Find out how to get them at the Box Office.